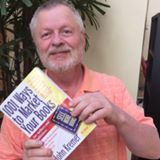 This page features the sites of the best dependent book publishers in the U.S. (as judged by John Kremer, author of 1001 Ways to Market Your Books). This list, unlike the Top 101 Independent Publishers list, features publishers affiliated with other companies, associations, or organizations as well as non-profit publishers. The publisher must publish books with great cover designs and interior text designs, publish books with good content and editorial selection, carry out great marketing programs, have at least ten books in print, and have at least one title that has sold 25,000+ copies. This site features people who are creating great books and innovative marketing campaigns with the help of some outside agency or company. For a list of the Top 101 Independent Book Publishers, click here. Also check out the Independent Book Publishers Hall of Fame. Publishers — Check out these publishers as well as the independent publishers to see examples of good book design and great marketing campaigns. You can learn a lot from these publishers. Authors — These publishers, along with the Top 101 Independent Book Publishers, are among the best small publishers. If you are tired of submitting to the major New York publishers and are looking for a publishing company that will treat you and your book right, check out these companies. You'll be glad you did. Adams Media Corporation, 57 Littlefield Street, Avon MA 02322; 508-427-7100; 800-872-5627; Fax: 508-427-6790. Specialties: business and general. Now a division of F&W Publishing (Writer's Digest Press, etc.). See below. AMACOM Books, Hank Kennedy, Publisher, 1601 Broadway, New York NY 10016; 800-262-9699; Fax: 518-891-3653. Email: cust-serv@amanet.org. Affiliated with the American Management Association. Specialties: management, business books. Andrews McMeel, Jean Lowe, Senior Editor, 4520 Main Street, Kansas City MO 64111; 816-932-6700; 800-826-4216; Fax: 816-360-6820. Associated with Universal Press Syndicate. Specialties: humor, cartoon, consumer interest, general, calendars. They are a member of the Independent Book Publishers Hall of Fame. Art Público Press, University of Houston, Houston TX 77204-2090; 713-743-2999. This nonprofit press associated with the University of Houston is the “largest and most established publisher of contemporary and recovered literature by U.S. Hispanic authors.” Piñata Books is their children's imprint. Avalon Publishing Group, 245 West 17th Street, 11th Floor, New York NY 10011-5300; 212-981-9919 or 646-375-2570; Fax: 646-375-2571. Avalon Travel Publishing, Seal Press, Shoemaker & Hoard Publishers, 1400 65th Street #250, Emeryville CA 94608; 510-595-3664; Fax: 510-595-4228. This company grew out of Publishers Group West, a distributor, as PGW began acquiring some of the companies it distributed. Now independent, Avalon consists of a number of smaller publishers, including Avalon Travel Publishing (Moon Publications, Foghorn Press), Carroll & Graf, Thunder's Mouth, Nation Books, Seal Press, Shoemaker & Hoard Publishers, and Marlowe & Co. Bought by Perseus Book Group in January 2007. Baker Book House, Richard Baker, Publisher; Dan Van't Kerkhoff, Editor; P O Box 6287, Grand Rapids MI 49516; 616-676-9185; Fax: 616-676-9573. Email: webmaster@bakerbooks.com. Their web site features lots of author resources, including info on how to prepare a book proposal for them. Loosely affiliated with the Christian Reformed Church. Imprints: Revell, Chosen, Cambridge. Publishes 200 titles per year; 1,500 title backlist. Specialties: religious titles, academic, family life. Bear & Company, Gerry Clow, Publisher; Barbara Clow, Editor; 506 Agua Fria Street (87501), P O Box 2860, Santa Fe NM 87504; 505-983-5968; 800-932-3277; Fax: 505-989-8386. Founded: 1980. Specialty: new age, holistic health, women's studies, spirituality, ecology. Books to celebrate and heal the earth. Bought in 2000 by Inner Traditions. Carroll & Graf, Tina Pohlman, Editor, Avalon Publishing Group, 245 West 17th Street, 11th Floor, New York NY 10011-5300; 646-375-2570; Fax: 646-375-2571. Specialties: fiction, biography, current affairs, general. A division of Avalon Publishing Group. Cedco Publishing, 100 Pelican Way, San Rafael CA 94901. 1996 income: $43.5 million. Founded in 1980. Specialties: children's books, calendars, lots of licensed products (Star Wars, Dilbert, Anne Geddes). They are a member of the Independent Book Publishers Hall of Fame and were named the only book or calendar publisher on the 1998 Inc. 500 list of fastest-growing companies. Sold to another company after facing bankruptcy. Chelsea House Publishers, 1974 Sproul Road #400, Broomall PA 19008; 610-353-5166; 800-362-9786; Fax: 610-359-1439. Specialties: multicultural children's series, history, biographies. Bought in 1999 by Haights Cross Communications, they have a backlist of 2,500 titles. Coffee House Press, Allan Kornblum, Publisher, 27 N Fourth Street #400, Minneapolis MN 55401; 612-338-0125. This nonprofit publisher focuses on poetry and literary fiction. Copper Canyon Press, Sam Hamill, Founding Editor; Joseph Bednarik, Associate Editor; P O Box 271, Port Townsend WA 98368. Email: kagean@olympus.net. A nonprofit publisher of poetry founded in 1972. Has published such poets as Pablo Neruda, Carolyn Kizer, and W.S. Merwin. Dearborn Trade, Cynthia Zigmund, Publisher, 30 S Wacker Drive #2500, Chicago IL 60606; 312-836-4400; 800-621-9621; Fax: 312-836-1021. Bought in 1998 by Kaplan Professional, itself a subsidiary of the Washington Post Company. Specialties: management, sales, marketing, personal finance, investments, real estate, small business, entrepreneurship. Dharma Publishing, 2910 San Pablo Avenue, Berkeley CA 94702; 800-873-4276; Fax: 510-548-2230. Email: web@dharmapublishing.com. Dharma Publishing is a nonprofit, California-based Buddhist publisher associated with the Nyingma Institute and the Yeshe De Text Preservation Project. Their website offers a large selection of books and sacred art as well as being a resource for those seeeking information about Buddhism and Buddhist teachings. Dover Publications, 31 East 2nd Street, Mineola NY 11501; 516-294-7000; Fax: 516-742-5049. A great publisher of clip art books and other inexpensive trade paperbacks on almost any subject. They do an outstanding job of marketing books via direct mail. Now owned by the printer Courier Corporation. Element Books, 21 Broadway, P O Box 830, Rockport MA 01966; 508-546-1040; Fax: 508-546-9882. Email: element@cove.net. Specialties: spirituality, religious traditions, alternative health, psychology. A division of a U.K. publisher. F&W Publications, 4700 E Galbraith Road, Cincinnati OH 45236; 800-289-0963; Fax: 513-531-7107. Owns Writer's Digest magazine and several book clubs. Originally founded in 1868 as a printer. Imprints: Writer's Digest Press, North Light Books, Betterway Books, David & Charles, Story Press. Specialties: writing, graphic arts, short stories, fiction, business, career, home remodeling, wood-working, general. In 2001, they had sales of $106 million. In March 2002, they were sold to Aurelian Communications for $130 million. In July 2002, they bought Krause Publications out of Wisconsin. In July 2003, they bought Adams Media. In 2005, they were sold to Aubry Partners for $500 million. They are a member of the Independent Book Publishers Hall of Fame. Fairview Press, 2450 Riverside Avenue S, Minneapolis MN 55454. Affiliated with a major Twin Cities hospital, this press calls itself “the family issues publisher.” Specialties: religion, family issues, parenting. Feminist Press at CUNY, Susan Cozzi, Executive Director, 311 East 94th Street, New York NY 10128; 212-360-5790; Fax: 212-348-1241. Founded in 1970. 150 titles in print. Specialties: feminist titles. Four Walls Eight Windows, John Oakes, Publisher, 39 West 14th Street #503, New York NY 10011; 212-206-8965; 800-788-3123; Fax: 212-206-8799. Sells about $2 million per year. Specialties: social issues, popular science. It is also looking to expand in science fiction and business. Bought by Avalon Publishing Group in the spring of 2004. Titles were incorporated into the Thunder Mouth imprint. Globe Pequot Press, Linda Kennedy, President, 246 Goose Lane, P O Box 480, Guilford CT 06437; 203-458-4538; 800-962-0973; Fax: 203-458-4603. Email: info@globe-pequot.com. Founded in 1947. Owned by a larger media group. 1,200 titles. Specialties: travel, regional, and outdoor recreation. Falcon Press imprint: Bill Schneider, Publisher. In January 1998, they bought Chockstone Press of Evergreen, Colorado. Also distributes several other publishers. Specialties: nature, travel, outdoor recreation, and Western regional titles. The Lyons Press, Tony Lyons, Publisher, 123 West 18th Street, New York NY 10011; 212-620-9580; 800-836-0510; Fax: 212-929-1836. Founded in 1984. Specialties: fishing books, outdoors, reprints of cookbooks and other classics. 500 backlist titles, 65 new seasonal titles. Since January 2001, it is an imprint of Globe Pequot Press. Graywolf Press, Fiona McCrae, Director, 2402 University Avenue #203, St. Paul MN 55114; 612-641-0077; Fax: 612-641-0036. A non-profit publisher. Specialties: fiction, poetry, short stories, literary essays. Gryphon House, Jennifer Lewis, General Manager, 16848 Leon's Way, P O Box 10, Lewisville NC 27023; 336-712-3286; Fax: 336-712-3223. Email: jlewis@kaplanco.com. Specialties: early childhood books for teachers and parents. Bought by Kaplan Early Learning Company in November 2007. Hazelden Publishing Group, 15251 Pleasant Valley Road, Center City MN 55012-0176; 800-328-0094. Affiliated with the Hazelden Treatment Center, its specialties include: recovery, spirituality. Health Communications, Peter Vegso, Publisher, Enterprise Center, 3201 SW 15th Street, Deerfield Beach FL 33442; 954-360-0909; 800-441-5569; Fax: 954-360-0034. Publishers of the Chicken Soup for the Soul series, this publisher also publishes magazines and prints books. Specialties: psychology, self-help, inspiration, recovery. On May 14, 1998, they had their first USA Today #1 bestseller, Chicken Soup for the Mother's Soul, as well as ten other books in slots 6, 7, 14, 22, 26, 53, 77, 105, 111, and 135. They are a member of the Independent Book Publishers Hall of Fame. Interweave Press, 201 E Fourth Street, Loveland CO 80537-5655; 800-272-2193; Fax: 970-667-8317. Now owned by Aspire Media. Crafts publisher. JIST Works, 8902 Otis Avenue, Indianapolis IN 46216-1033; 317-613-4200; 800-648-5478; Fax: 317-264-3709. Founded in 1981. Specialty: careers, job search. This company also distributes career books, tapes, and software to the school market. Bought by another company in 2007. John Muir Publications, Steven Cary, President, 1400 65th Street #250, Emeryville CA 94608; 510-595-3664; Fax: 510-595-4228. Founded in 1969, but now a division of Avalon Travel Publishing. Specialties: travel, children's, automotive. Jossey-Bass, 989 Market Street, San Francisco CA 94103-1741; 415-782-3183; Fax: 415-433-0499. Email: ccrocker@jbp.com. A subsidiary of John Wiley that still acts like it is an independent publisher. Specialty: business books. Klutz Books, John Cassidy, Founder, 2121 Staunton Court, Palo Alto CA 94306; 415-857-0888; 800-558-8944; Fax: 415-857-9110. Specialty: childrne's and adult activity books with attached toys. Bought in 2000 for $74 million by Nelvana, which in turn was bought by Corus Entertainment. In March 2002, Scholastic bought Klutz for $43 million. Klutz is a member of the Independent Book Publishers Hall of Fame. Larson Publications, 4936 Route 414, Burdett NY 14818; 607-546-9342; 800-828-2197; Fax: 607-546-9344. Email: larson@lightlink.com. A division of the Paul Brunton Philosophic Foundation, this publisher specializes in new age and global wisdom books. Lonely Planet, Eric Kettunen, 155 Filbert Street #251, Oakland CA 94607; 510-893-8555; Fax: 510-893-8563. Email: info@lonelyplanet.com. Specialty: travel books. The U.S. headquarters for an Australian company. Masters Press, Tom Bast, Director, 2647 Waterfront Parkway East Drive #300, Indianapolis IN 46214; 800-9-SPORTS; Fax: 317-298-5604. Recently bought by NTC/Contemporary Publishing Group (they plan to move this division to NTC headquarters in Lincolnwood, Illinois). 150 titles in print. Specialties: sports, coaching, and fitness books. Menasha Ridge Press, Bob Sehlinger, Publisher, 700 South 28th Street #206, Birmingham AL 35233; 205-322-0439; Fax: 205-326-1012. Email: menasha@aol.com. Specialties: outdoors, travel, and dining books. Now owned by Keen Communications. Microsoft Press, Jim Brown, Publisher, One Microsoft Press, Redmond WA 98052; 206-882-8080; 800-MSPRESS; Fax: 206-936-7329. Affiliated with Microsoft Corporation. Specialty: computer books. Milkweed Editions, Emily Buchwald, Publisher, 430 First Avenue N #400, Minneapolis MN 55401; 612-332-3192; Fax: 612-332-6248. A non-profit publisher. Specialties: fiction, poetry, literary essays. Moon Publications, Avalon Travel Publishing, 1400 65th Street #250, Emeryville CA 94608; 510-595-3664; Fax: 510-595-4228. Founded in 1973. Specialty: travel books. Now a division of Avalon Travel Publishing. Motorbooks Inc., The Wyman Building, 400 First Ave. N. Minneapolis, MN 55401; 800-328-0590. Email: customerservice@motorbooks.com. They publish books on automobiles, bicycling, aviation, railroading, and nostalgia. Divisions: Zenith Books, Bicycle Books, Classic Railroad Books, Voyageur Press. Owned by Quayside publishing. Naval Institute Press,2062 Generals Highway, Annapolis MD 21401; 410-224-3378; 800-233-8764; Fax: 410-571-1703. Affiliated with the U.S. Naval Academy. Specialties: naval history, naval ships, naval fiction. Thomas Nelson Publishers, 501 Nelson Place, Nashville TN 37214-1000; 800-251-4000; Fax: 800-448-8403. Loosely affiliated with Methodist Church and almost a conglomerate of its own. Imprints: Word, C.R. Gibson, and Tommy Nelson. Specialties: religions titles. Nilgiri Press, Tomales CA. The publishing arm of Blue Mountain Center of Meditation. Nolo.Com, Ralph Warner, Publisher, 950 Parker Street, Berkeley CA 94710-2589; 510-549-1976; Fax: 510-548-5902; 800-992-6656. Specialty: legal self-help, some business titles. North-South Books, Marc Cheshire, Publisher, 1123 Broadway #800, New York NY 10010; 212-463-9736; Fax: 212-633-1004. The U.S. division of Switzerland's Nord-Sud Verlag started up in 1985. Specialties: children's picture books, calendars. Northland Publishing, David Jenney, Publisher; Erin Murphy, Editor-in-Chief; 2900 N Fort Valley Road (86001), P O Box 1389, Flagstaff AZ 86002; 928-774-5251; 800-346-3257; Fax: 928-774-0592. Web: http://www.northlandpub.com. Rising Moon is their specialty imprint for children's books. Specialties: regional, nature, children's books. Bought in August 2007 by Cooper Square Publishing. Paulist Press, 997 Macarthur Boulevard, Mahwah NJ 07430; 800-218-1903; Fax: 800-836-3161. Affiliated with the Paulist Fathers of the Catholic Church. Specialties: religious books. Pleasant Company, Pleasant Rowland, Publisher; Judy Woodburn, Editorial Director; 8400 Fairway Place, Middleton WI 53562; 608-836-4848; 800-233-0264; Fax: 800-257-3865. Specialties: children's fiction, especially for young girls, also activity and advice books for children. Pleasant Rowland, founder of the company, was recently named to the Catalog Hall of Fame as one of the 25 people who changed the catalog industry. Pleasant Company is a member of the Independent Book Publishers Hall of Fame. In June 1998, Mattel acquired Pleasant Company for $700 million! Quest Books, Sharon Brown, Publishing Manager, Theosophical Publishing House, P O Box 270, Wheaton IL 60189; 630-665-0130; 800-669-9425; Fax: 630-665-8791. The publishing division of the Theosophical Society in America. Specialties: metaphysics, spirituality, alternative health, transpersonal psychology, world religions, creativity. Rodale Press, Susan Massey, Publisher, 400 S Tenth Street, Emmaus PA 18098; 610-967-8775; Fax: 610-967-8962. Publisher of magazines and books on health, fitness, gardening, home, inspiration, and spirituality. In 1998, they had book revenues of $225 million. They operate an online bookstore at Rodalestore.com. Rodale is a member of the Independent Book Publishers Hall of Fame. Running Press, 125 South 22nd Street, Philadelphia PA 19103-4399; 215-567-5080; 800-345-5359; Fax: 215-568-2919. Specialties: gift books, all subjects. They publish many inexpensive beautiful books. They are a member of the Independent Book Publishers Hall of Fame. Now a division of the Perseus Book Group. Rutledge Hill Press, Lawrence Stone, Publisher, 211 Seventh Avenue N, Nashville TN 37219; 615-244-2700; Fax: 615-244-2978. Specialties: humor, cooking, Civil War history, Southern regional. Bought by Thomas Nelson in the fall of 1999. Gareth Stevens Inc., P O Box 360140, Strongsville OH 44136-0140; 800-542-2595. Founded in 1983. 600 titles in print. Specialty: children's books. Owned by Weekly Reader Company. Stone Bridge Press, Peter Goodman, Publisher, P O Box 8208, Berkeley CA 94707; 510-524-8732; Fax: 510-524-8711. Email: sbp@stonebridge.com. Specialties: Japanese themes. Now owned by Yohan, a Japanese distributor and bookseller. Taunton Press, Jim Childs, Publisher; Jan and Paul Roman, Owners. First a magazine publisher of fine magazines, this company also publishes 35 new book titles per year, with a 250-title backlist. Specialties: gardening, home building, remodeling, woodworking, sewing, and knitting. Their top-selling books are How to Carve Wood (160,000 in print) and The Timber Frame House (140,000 titles). Templeton Foundation Press, Two Radnor Corporate Center #330, 100 Matsonford Road, Radnor PA 19087; 610-971-2670; 800-561-3367; Fax: 610-971-2672. Self-help, philosophy, spiritual progress. Ten Speed Press, 999 Harrison Street, P O Box 7123, Berkeley CA 94707; 510-559-1600; 800-841-BOOK; Fax: 510-559-1629. Specialties: health, cooking, careers, new age. Imprints: Celestial Arts, Crossing Press, and Tricycle Press. Bought by Random House in March 2009 and now an imprint of Crown Publishing Group. That Patchwork Place, Cheryl Brown, 20205 144th Avenue NE, P O Box 1930, Woodinville WA 98072-1930; 425-483-3313; Fax: 425-486-7596. Email: info@patchwork.com. Specialties: quilt books and fibre arts. A division of Martingale & Company, which also owns Fiber Studio Press and PasTimes Books. Triumph Books, Mitch Rogatz, Publisher, 601 S LaSalle Street, Chicago IL 60605; 312-939-3330; 800-335-5323; Fax: 312-663-3557. Email: triumphbks@aol.com. Publishes many licensed sports titles from the NFL, Major League Baseball, NCAA, NHL, NASCAR, etc. Now owned by Random House (May 2006). Unity Books, 1901 N.W. Blue Parkway, Unity Village MO 64065-0001; 816-251-3571; 800-669-0282. Affiliated with Unity Church, this publisher was one of the first new age publishers. Specialty: spiritual self-help. Walker & Company, George Gibson, Publisher, 435 Hudson Street, New York NY 10014; 212-727-8300; 800-289-2553; Fax: 800-218-9367. Email: ggibson@walkerbooks.com. Specialties: general, fiction, large print. Since December 2004, it is a division of Bloomsbury. They are a member of the Independent Book Publishers Hall of Fame. Wilderness Press, 1200 5th Street, Berkeley CA 94710-1306; 510-558-1666; Fax: 510-558-1696. Outdoor books and maps. Now owned by Keen Communications. Williamson Publishing Company, Jack Williamson, Publisher, 1355 Church Hill Road, P O Box 185, Charlotte VT 05445; 802-425-2102; 800-234-8791; Fax: 802-425-2199. Specialty: nonfiction children's books. In 2004, this company was bought by Guideposts and merged into Ideals Publications, based in Nashville, Tennessee. Willow Creek Press, Tom Petrie, Publisher, P O Box 147, Minocqua WI 54548; 715-358-7010; 800-850-9453; Fax: 715-358-2807. Email: info@willowcreekpress.com. Founded in 1994 as an imprint of the Wisconsin Sportsman magazine. Publishes books and calendars. Specialties: fishing, hunting, nature, pets, bird watching, gardening. Wisdom Publications, 199 Elm Street, Somerville MA 02144; 617-776-7416; 800-272-4050; Fax: 617-776-7841. Specialty: new age, metaphysics, psychology. Zondervan Press, 5300 Patterson Avenue SE, Grand Rapids MI 49530; 616-698-3209; 800-9BOOK-IT; Fax: 616-698-3223. Email: zdsonline@zph.com. A division of Thomas Nelson, this company is an active and innovative marketer. Specialty: religious-related books.